Demand for smaller lake access properties has been increasing in the past few months as some cautious home buyers venture back into the second home market. After seeing prices plunge by 30 percent or more, value seekers and smart investors are getting the buying bug. Properties gaining popularity among the savvy set are one bedroom condominium units with lake views and plenty of extracurricular amenities. Examples of those in demand are found in the Delavan Club complex along the outlet of Delavan Lake. View from the Delavan Club balcony overlooking the pool and lake. 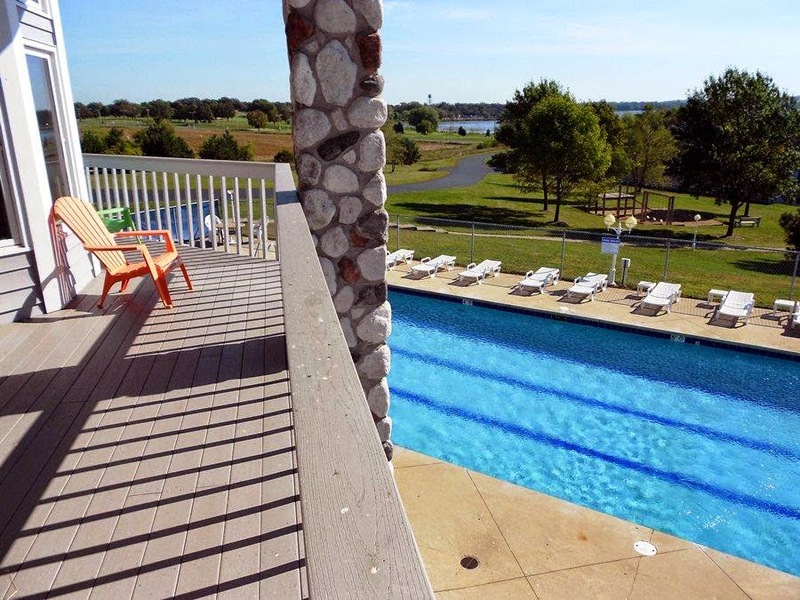 With its near-Olympic size outdoor pool and upgraded fitness room, sauna and steam room, the Delavan Club provides a cost-effective way for those desiring to give lake living a try. One bedroom units now start at only $139,000 and include the use of the pool, club house, tennis courts, volley ball courts and boat launch. 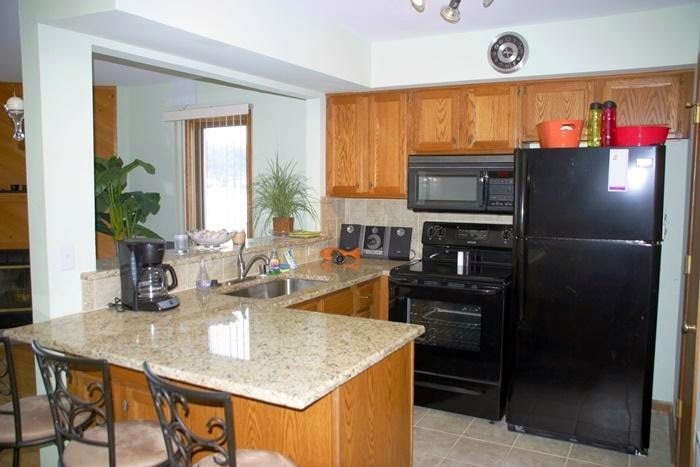 One bedroom condo unit with granite counters, breakfast bar and walkout patio. The facility also includes an "in-out" service for boat launching. This feature makes boat ownership simple for inexperienced mariners. By calling the service in advance, a condominium owner is welcomed at the boat launch with a craft running and ready to enjoy a day on the lake. When finished, the service pulls the boat out of the water and stores it until the next visit. Another small-sized real estate segment seeing demand is the cozy cottage option. Lake access cottages priced under $100,000 with a variety of benefits including private boat launches, waterfront parks, swimming piers and beaches. 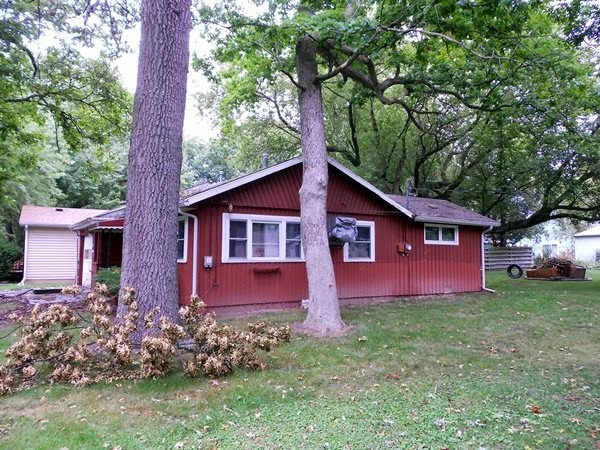 There are five major associations around Delavan Lake that contain these bargain cottage options. They include the subdivisions of Delmar, Highlands, Ravenswood, Viewcrest and Assembly Park. Each has a variety of amenities for owners and they have a range of annual fees between $120 and $780. An example of the type of cottage in demand can be found on Mason Street in the the Delmar Subdivision. There are three properties for sale on this street which is just one block off the lake. Benefits include a private boat launch, swim pier, beach, two parks, volley ball and basketball. The set up is ideal for families that want to ensure there are plenty of activities for children and guests. Prices on Mason Street start at just $72,000 for a two bedroom house that includes a one-car garage, large back yard, fire-pit, and of course; a tire swing.